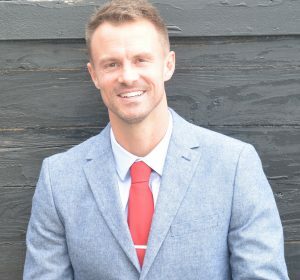 Performance coach, consultant, keynote speaker, and author, Alan Stein, Jr. spent 15 years working with the highest performing basketball players on the planet and now delivers high-energy keynotes and interactive workshops helping organizations improve performance, cohesion, and accountability. He inspires and empowers everyone he works with to take immediate action and improve mindset, habits, and productivity using the same strategies in business that elite athletes use to perform at a world-class level. The keys to raising leadership performance live in the ability to actively listen, embrace change, and close Performance Gaps (the gap between knowing and doing). This can only be achieved by utilizing effective strategies for guarding your time, filling your bucket (so you can pour into others), and investing your focus in the present moment. In this powerful session, Alan teaches participants how to master the unseen hours by utilizing the mindsets, rituals, and routines of world-class athletes and coaches. Regardless of title or tenure, this program is essential for anyone who wants to raise his or her leadership performance and personal influence. Bring Alan to your upcoming event by contacting Michelle Joyce. Stay tuned every Friday for additional featured speakers!